This is a Pipe charts the evolution of glass in cannabis culture. At the This is a Pipe book signing, co-publisher Brad Melshenker, founder of 710 Labs, aimed RAM’s Weapons of Peace glass pipe filled with lighter fluid towards an empty alleyway, and shot a 20-foot long flame through the air. It was baller, and it said everything you need to know about why Brad and his business partners Barry Bard and Nicholas Fahey are the only people capable of making this incredible book. They are fearless, passionate, and relentless—just like all cannabis activists who live by, and for, the leaf. 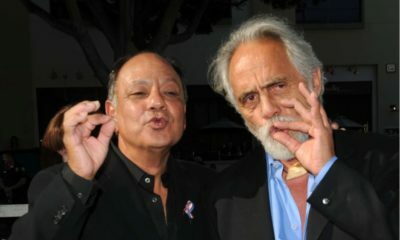 Fifteen years ago, DEA agents were propaganda-driven bounty hunters executing Operation Pipe Dream—the ludicrous investigation that charged 50 people with trafficking illegal drug paraphernalia (mostly pipes and bongs), and sent Tommy Chong to a federal prison for nine months. Today, some of those “dangerous” glass pieces are being sold as works of art for $300,000 or more. Ironically, This is a Pipe’s author Barry Bard says he “felt like a bounty hunter” trying to track down some of the artists for his hardcover homage to glass pipes. “Getting them on the hook was difficult. I had to earn their trust,” says Bard. After two-and-a-half years of work, Bard (as well as Nicholas and Melshenker) curated a masterpiece in premiere publishing: a coffee-table book featuring 50 of the most inventive, influential, and important glass blowers of all time. This book is possible thanks to community. Its Kickstarter raised over $37,000, and until its publication, there was no anthology of glass pipes. Now you can leaf through a published history of glass reaching all the way back to Bob Snodgrass, the Godfather of Glass, whose career predates anyone else’s in the book by 20 years. He discovered how to make color-changing pipes, and The Snodglass became a signature piece for The Grateful Dead’s tour. Ezra is another legend who, before tragically passing away revolutionized techniques like inside-out glass, disc flips, and was the first person to sign his name on a piece using murrine. He was so ahead of his time that, all the way back in 2012, he was tinkering with technology to 3-D print glass, and create a voice-controlled torch. You’ll also dive deep into the works of other artists: Scott Deppe, known as the G.O.A.T of the glass world; SALT, whose morbid offerings could come to life in any Guillermo Del Toro flick; and LaceFace, whose grit, talent and determination elevated her high above many of her male counterparts. This book is big, bold, heavy, and not going anywhere (just like cannabis and those who love it). It won’t fit on your bookshelf, but it’s not meant to be tucked away amongst books you promised yourself you’d read one day–but never will. 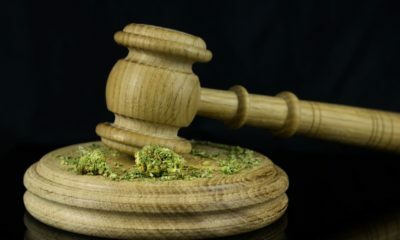 This is a Pipe is meant to sit in the middle of your coffee table, its pages full of glowing treasures, its cover sprinkled with kief and shake from bowls being packed on top of it to be shared with lovers and friends.